Minister for Trade, Commerce and Industry of Papua New Guinea, Richard Maru, wants all issues on the Ox & Palm trade war to be cleared this month. He welcomes the response by Fiji’s Industry, Trade and Tourism Minister, Faiyaz Siddiq Koya, to send two officials from its Biosecurity Authority to PNG to meet with officials from the National Agriculture Quarantine and Inspection Authority (NAQIA). Minister Maru said the meet will urgently resolve pending issues regarding the opening of the biosecurity pathway between Fiji and PNG for Ox & Palm, Snax biscuits and Trukai Rice to be exported to Fiji without any more restrictions. 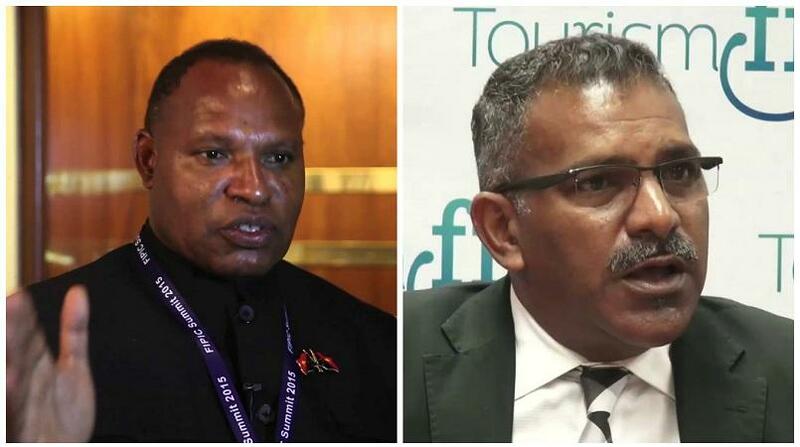 In a letter to Fiji’s Industry, dated 5th September, Minister Maru thanked Minister Koya for his commitment to send Fiji’s BAF executive chair, Xavier Riyaz Khan, and Trade Commissioner Navitalai Tuivuniwai, to Port Moresby. They will meet with PNG’s technical team, which includes officers from NAQIA, the Department of Trade, Commerce and Industry and PNG Manufacturers. Meanwhile, Koya is optimistic that the discussions between Fiji’s Biosecurity Authority and PNG’s NAQIA will resolve the matter and open discussions on a range of other commodities of trade for both countries.